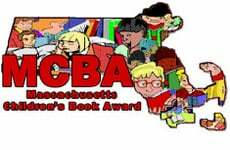 Once again, we will be promoting the nominees for the Massachusetts Children’s Book Awards (MACBA) during the 2018-2019 school year at DCD. Even though I’ve written about this program before, I would like to explain it to parents who have never had a fourth, fifth, or sixth grader before now. This voluntary reading incentive program has become a popular event for many students, and it was started by Dr. Helen Constant in 1975. It is administered through Salem State University. Twenty-five books are nominated for the award, and our voting for the DCD favorites will take place in late winter. There are many obvious benefits to reading along with us for the next few months. Students are often introduced to authors who are unknown to them before this, and they return looking for other books by them. Some of the authors, like Kate DiCamillo and Sara Pennypacker, are already favorites of many intermediate readers. An important benefit that may not be obvious is that our readers become critics. They learn how to evaluate literature through plot, characters, and their own interest, and they have fun doing so. Throughout the next few months, I’ll highlight some of the nominated titles. Links to the reading lists can be found on our DCD Library page. Déja can’t possibly understand her father’s anger, but she struggles with so many other problems. Her mother moved from Jamaica for a better life, but that doesn’t seem to be happening from her daughter’s point of view. Déja, her parents, and her younger brother and sister are living in one room in a shelter. Her mother works double shifts as a waitress and Déja is responsible for helping out with her younger siblings. She can’t understand why her father has such health problems and can’t hold down a job. Dêja has made two new friends who have totally different backgrounds. Ben is from Mexico, and his parents are divorcing. Sabeen is Muslim, and her family never go out on 9/11. Her fifth-grade teacher, Miss Garcia, and her two new friends teach Déja what home, friendship, and community truly mean. The three friends come from different backgrounds. This novel is a thoughtful handling of the national tragedy that is unknown to many of our children. It is a wonderful book for parents to read along with children.